Please fill out the form completely and ensure that you add some details about the mod and why you have chosen it (similar to how our community members have below). We have had a lot of submissions that we cannot use due to the lack of description, please try and fill this out explaining why you like it and what it adds to the game. For you Minecraft players familiar with droppers/hoppers and the automation that they allow, this will seem a familiar concept. This mod allows you to place a chest next one of your production machines and the machine will pull raw materials from the chest to refine. When it’s done it will push the processed material back into the chest. Fill a chest with iron, leave it next to your smelter, and come back to a chest full of iron bars! You can connect multiple machines to a chest allowing you to expand your operations. You can even connect different types of machines to the same chest if you want to consolidate your operations. This seems, to me, like one of those things that should have been in the base game. Maybe not at the start, but as an unlockable ability later down the line it would have made sense. 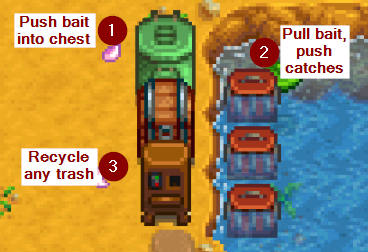 In any case, this mod should greatly improve your time management in Stardew Valley (no more daily collection/restocking routine!) and allow you to focus on other aspects of the game. You’ll have a fully functional auto-farm in no time! Down with JojaMart! 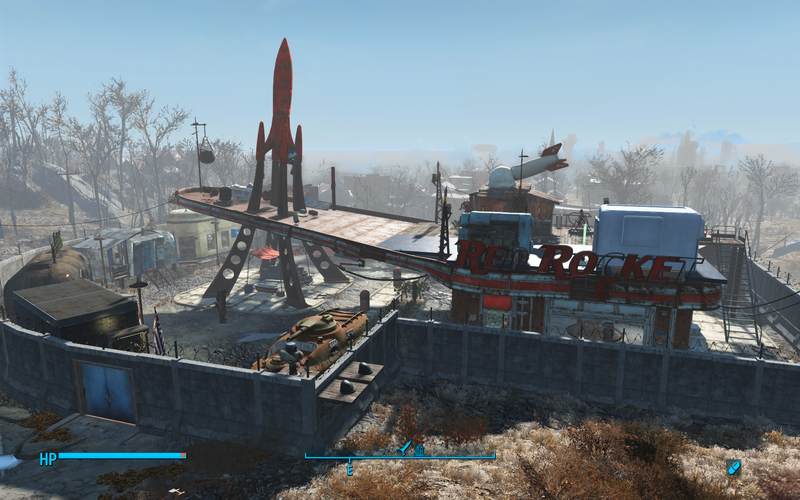 Red Rocket has always been my favourite settlement within the Fallout 4 world, I began my first settlment there by building stairs onto the roof and placing my humble abode up there. Then I tried experimenting with making the forecourt a market place and the garage my home/workplace, next up was a refugee camp at the front and the roof of the garage holding all my defence mechanisms. It just felt like my Fallout 4 home. So when I saw this mod, I jumped at the chance to try it out. Wow... to be honest with you all, it truly blew me away in terms of it's finish and attention to detail. Yes, I know there are quite a few required mods that you need to have and just as many optional ones (I recommend you get them all), but it just goes to show how well this has been pieced together, taking incredible mods in their own right and combining them all with their own to make a Red Rocket settlement that I can finally leave as is and get on with the crux of the story. Like I mentioned earlier, the affinity between the mod author and the characters can be seen through how much attention has been focused on each and every characters abodes, they are like fine tailored suits that show off each and every companions personalities. I spent the first hour just looking around at how everything has been laid out for each individual. Truly incredible stuff from a very talented mod author. 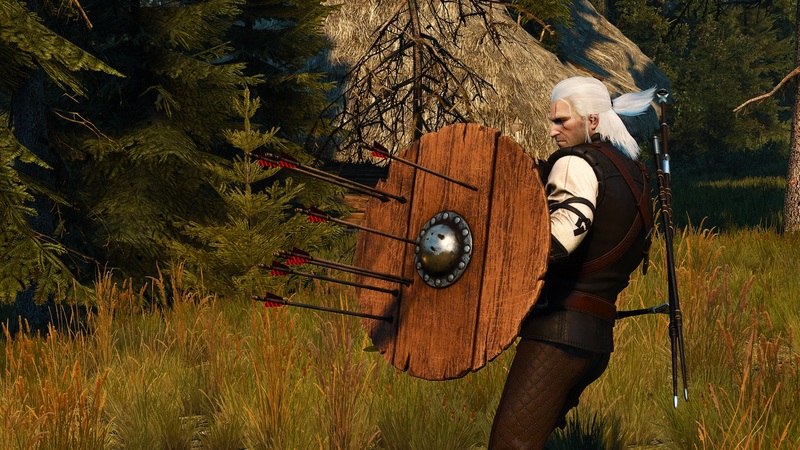 ScoutBr0 has already made quite a few contributions to the Witcher 3 modding scene but this time, he and a small team of collaborators have really outdone themselves with the newly released "Shields" mod. Don't let the simple title fool you however, as it represents quite a large addition to the game. Featuring both unique and existing designs that reflect the various in-game factions the shields that have been added (40 and counting!) are not simply cosmetic, but functional as well. "Shields" adds a new layer to The Witcher 3's combat mechanics by providing resistance to heavy attacks and the ability to block arrows without using a skill slot. Just make sure to watch your back-side. Customization is possible directly via the game's main menu allowing you to adjust stamina requirements and more. Additionally, shields can be visible on horse back or when climbing ladders too, when paired with Better Torches. As if this weren't already enough, the mod contains numerous other pieces of apparel including some very cool hoods, cloaks, and armor sets as well. Given Geralt's combat proficiency and the Blood and Wine expansion's more 'traditional' medieval setting, these numerous additions fit right in with the game. From both an artistic and mechanical standpoint, this mod is an easy one to recommend. Great work! An absolutely amazing quality of life improvement. The prompt that appears when the player hovers over an item to pick it up has been expanded with additional information, that dramatically improves the looting experience. When looking at a stack of multiple items, the total value and weight of all the items is displayed, instead of the values for one unit. If picking up the item(s) would cause the player to exceed their weight limit, a small icon is displayed, and the weights text color changes to warn them. Some smaller changes regarding text wrapping and the number of decimals are also changed, making the prompts easier to read, and providing the player with the information they actually need. Items with very small weight values will actually have those values displayed, instead of reading as 0. This alone makes the mod worth installing. 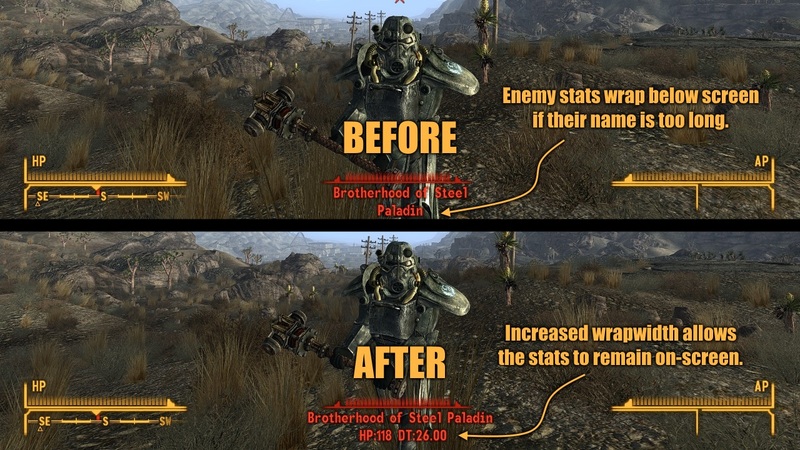 An excellent mod that is compatible with all major UI mods. There is absolutely no reason not to use it. The Cheese of Ages is a terrific quest mod by Merte that in my opinion is underrated. It has a very fun and creative story-line. The characters in the mod are overflowing with personality. 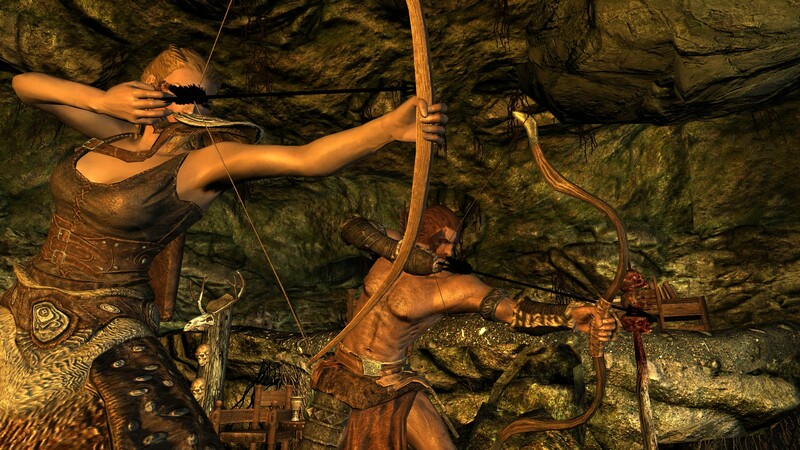 Of all the quest mods for Skyrim, I would say that The Cheese of Ages is my favorite. It's story, characters and miscellaneous items has inspired me in my endeavors and the mod author is also very nice, which is a huge plus. To anyone looking for a fun quest of any character build, The Cheese of Ages is definitely worth a go. Don't forget to endorse it! A NV mod? Crazy times I tell ya, crazy times. Good things are never forgotten. Frontier will blast off Steam chart I hope, more people will buy Fallout New Vegas if they knew how good Frontier is. I mean, how could it wouldn't be good right? a map size equal to New Vegas at least and a tank?! a working tank? man hope those tank are tank hehehe. AutoGates is an essential mod. Better Pickup Prompt is an excellent recommendation. There are also those great Minigun and reload fixes and of course EXE. New Vegas is a great choice for mod authors who are looking for a game that's meant to be modded for fun & play. Please stop quoting the whole article in the comments guys. I'm sick of scrolling just to not read the same thing again. Thank you! I recommend all of Javawalk's Transfer Settlements blueprints. They're all highly creative and unique.